This is Shigeru Tozaki custom slipjoint folding knife. 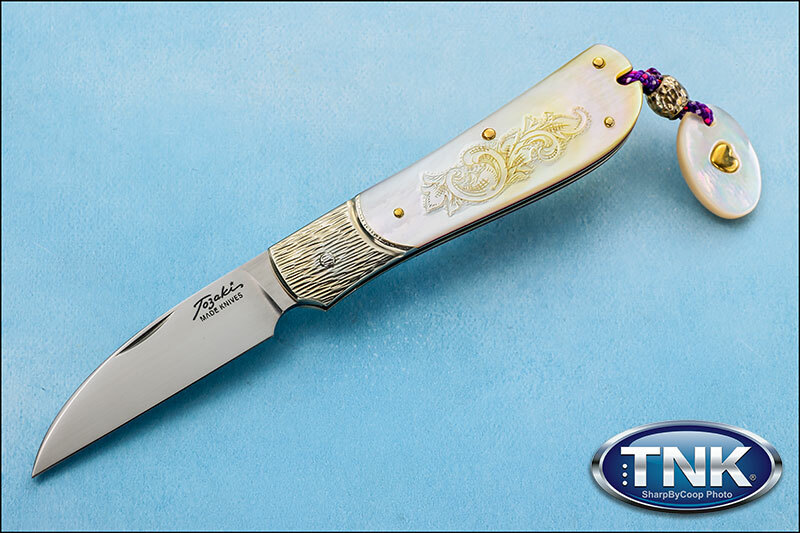 It features a hand rubbed ATS-34 blade complete with a beautiful engraved mother-of-pearl handle with carver titanium bolsters. Hand engraving on the handle with a peek-a-boo custom leather sheath.